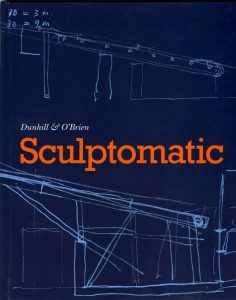 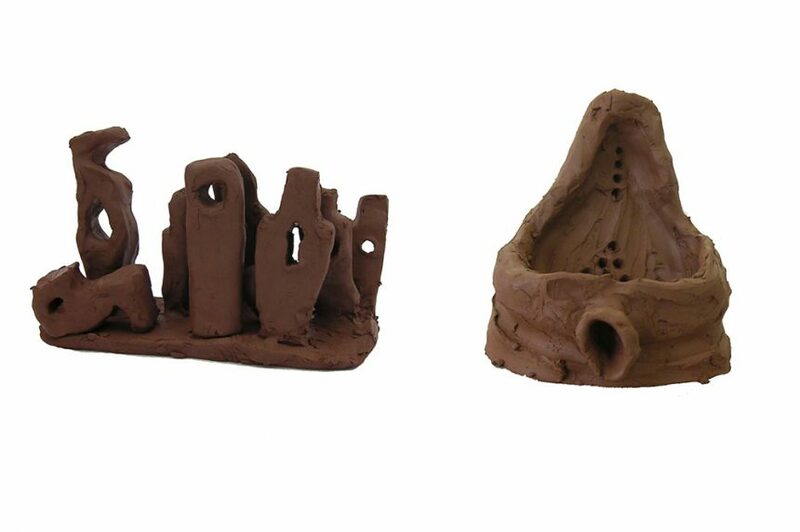 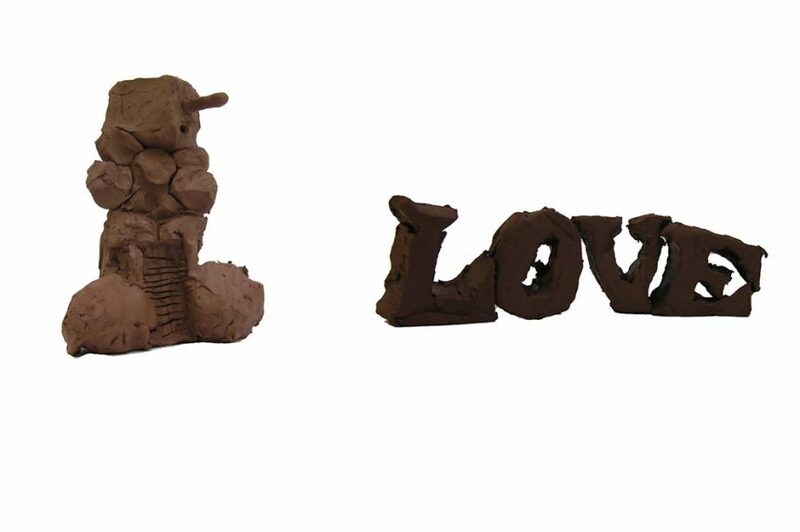 The basic proposition of this complicated and convoluted work was to make a new clay sculpture that would be a ‘meeting place of different cultures and times in the history of sculpture’. 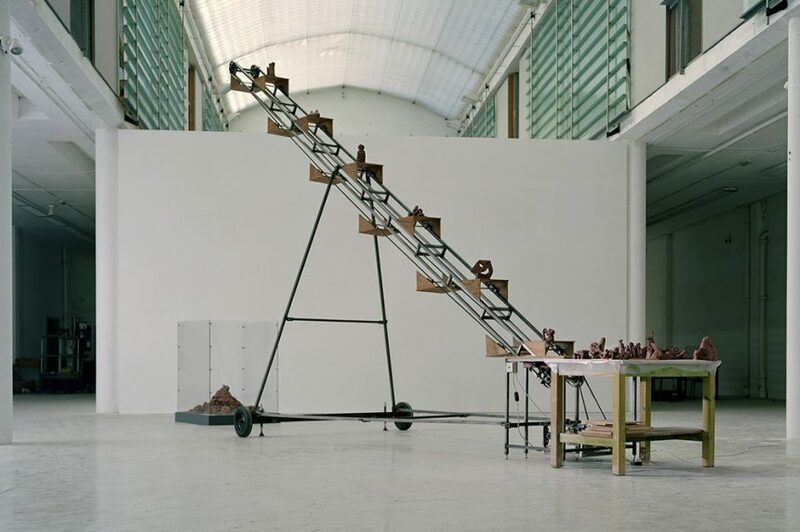 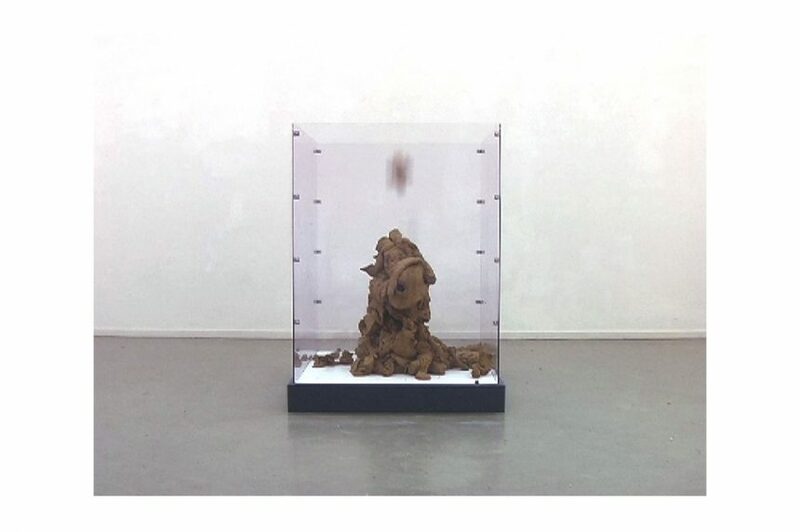 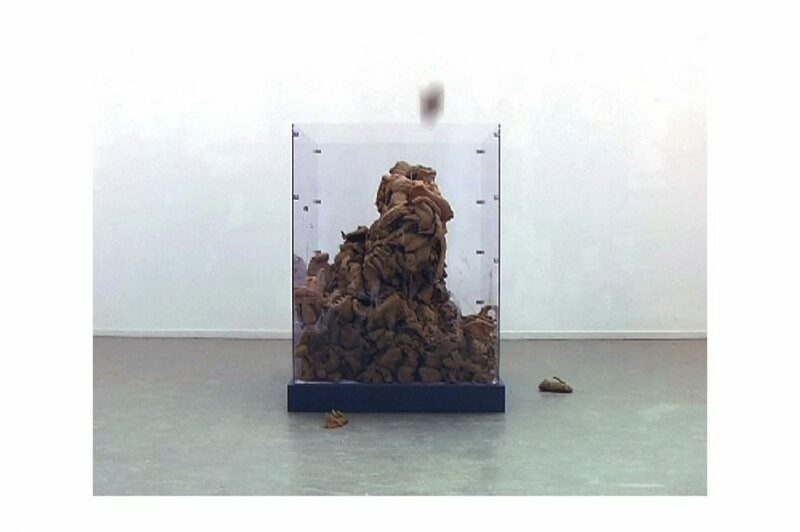 The work developed from a preoccupation with the status of holes in sculpture and further elaborated a system intended to enable the avoidance of any interference of personal taste or the ‘hand of the artist’. 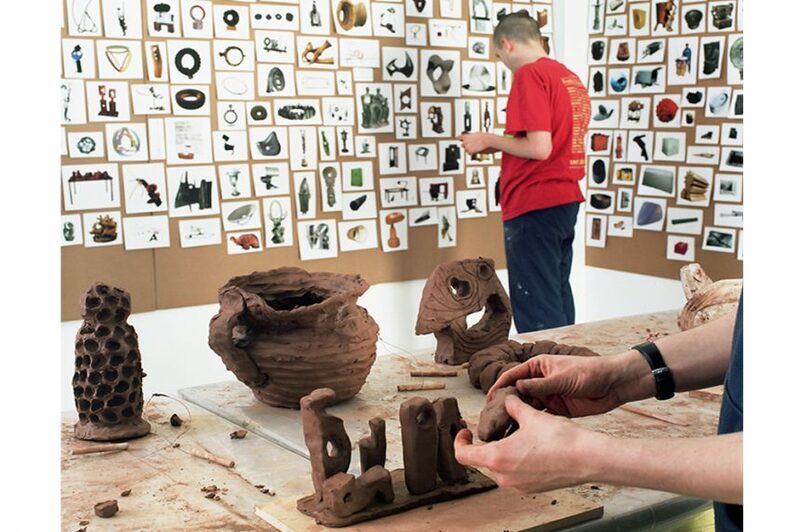 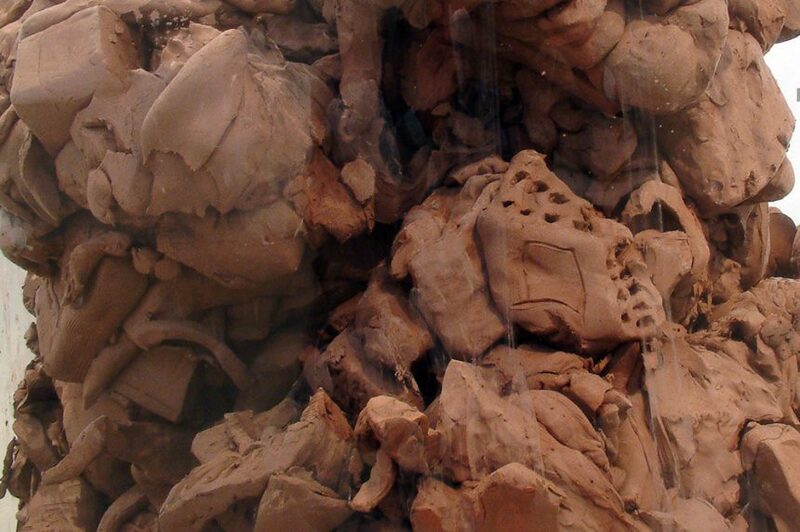 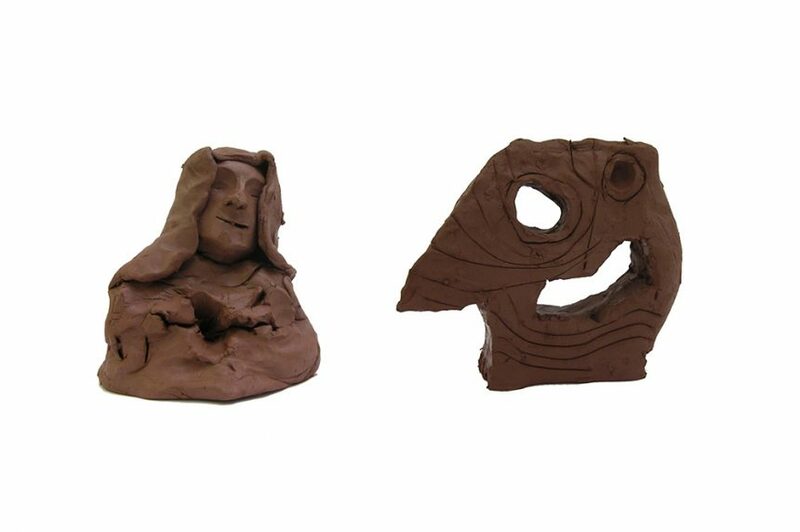 A crew of 20 participants were employed to make clay models at a rate of 5 per hour based on 500 images of sculptures, ranging from prehistoric ritual objects to contemporary artworks, selected because they had some form of hole in them. 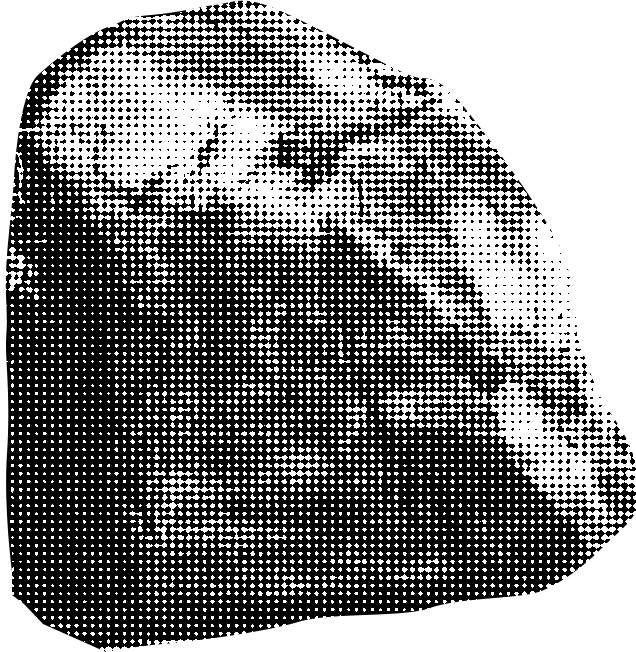 These images had been manipulated to remove any reference to scale, location or other contextual information. 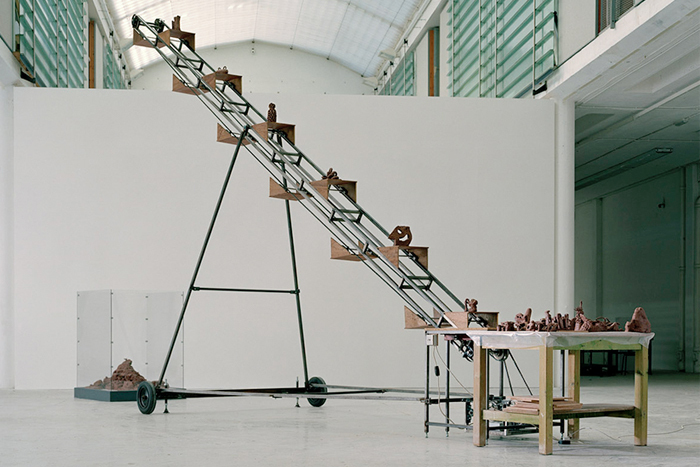 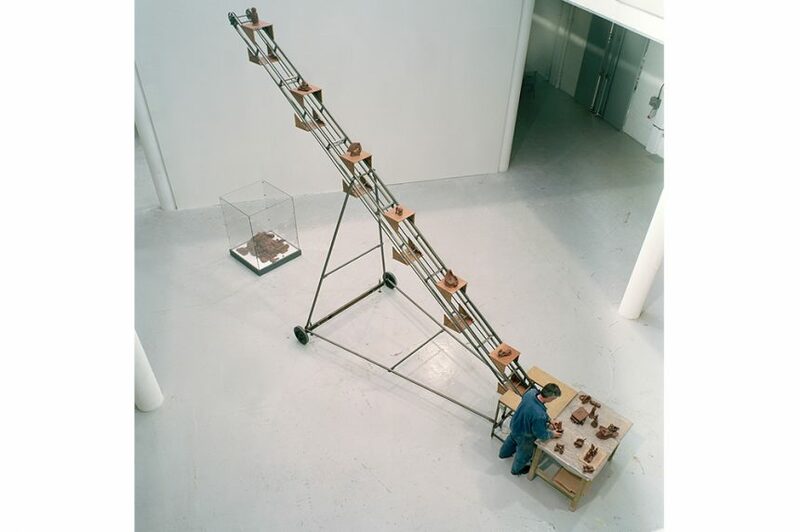 Once modelled the freshly made clay forms were photographed before being placed on wooden trays that moved slowly around an inclined elevator. 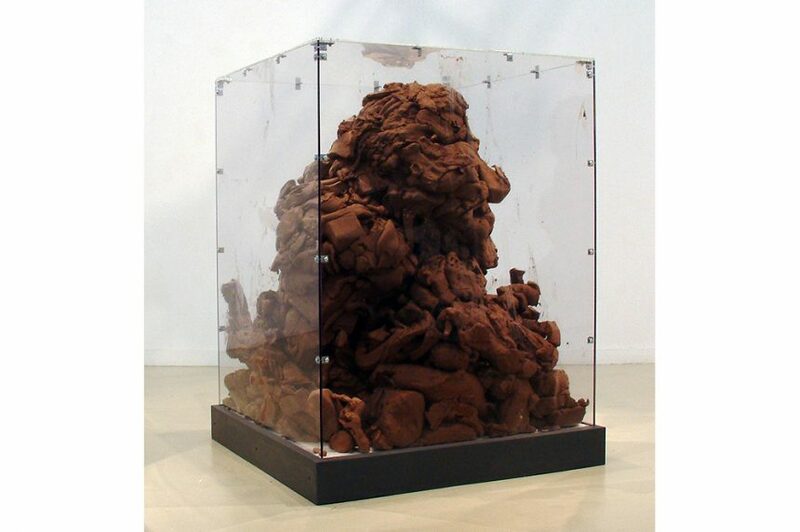 At a height of approximately 5 metres the forms dropped in to a display case (at a rate of 1 every 30 seconds) where they accumulated and fused together to form the new Sculpture. 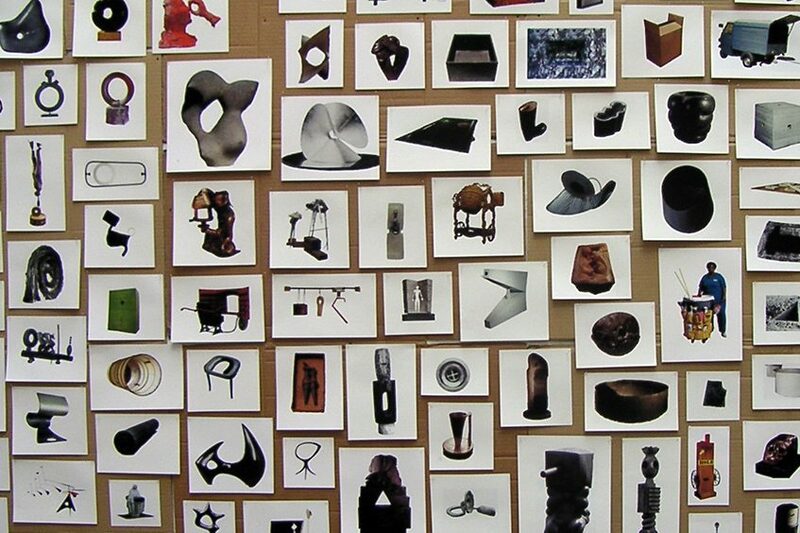 The final installation of the work involved all of the materials and work spaces involved with a 4 hour video showing the vitrine with the sculpture slowly forming.